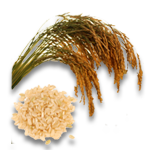 Oryza sativa: A common Asian rice found in most producing countries, which originated in the Far East at the foot of the Himalayas. O. sativa japonica grew on the Chinese side of the mountains and O. sativa indica on the Indian side. The majority of the cultivated varieties belong to this species, which is characterized by its plasticity and taste qualities. Oryza glaberrima: An annual species originating in West Africa, covering a large region extending from the central Delta of the Niger River to Senegal. 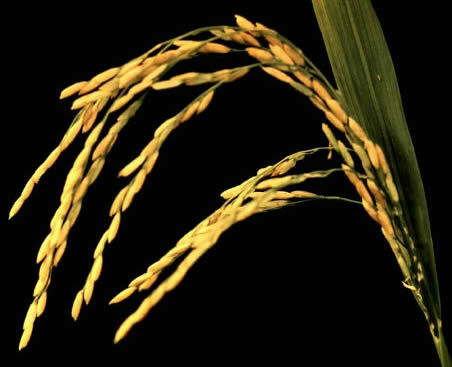 Japonica is an irrigated rice of temperate zone, with medium or short grains, also known as round grain, and is a rainfed lowland rice of warm tropical zones. Indica is an irrigated rice of warm tropical zones, with long, thin and flat grains. 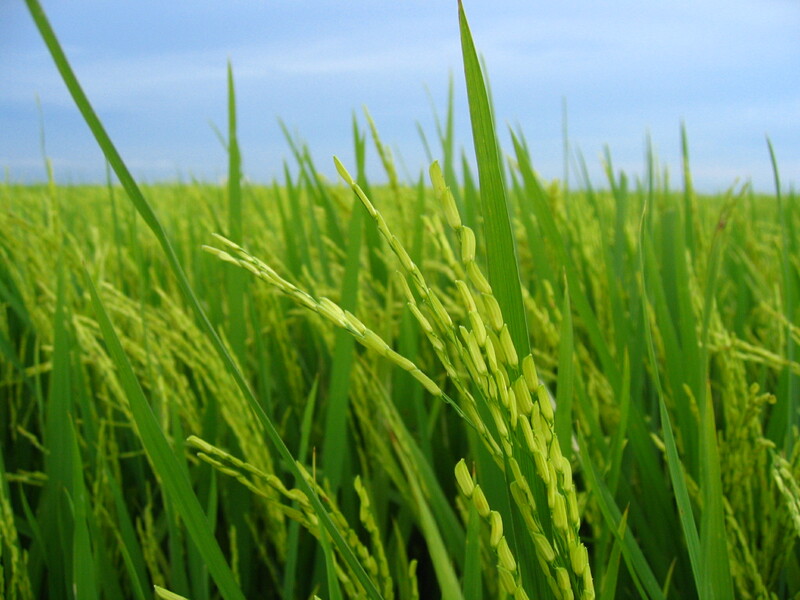 Rice is a monocarpic annual plant, that grows to a height of 1–1.8 m, depending on the variety and soil fertility. The grass has long, slender leaves 50–100 cm long and 2–2.5 cm broad. The wind pollinated flowers are produced as a branched arching to pendulous inflorescence, 30–50 cm long. Each panicle has 50 to 300 flowers (floret or spikelet), which later form the grains. 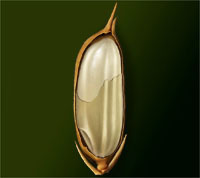 The seed is a grain (caryopsis) 5–12 mm long and 2–3 mm thick.